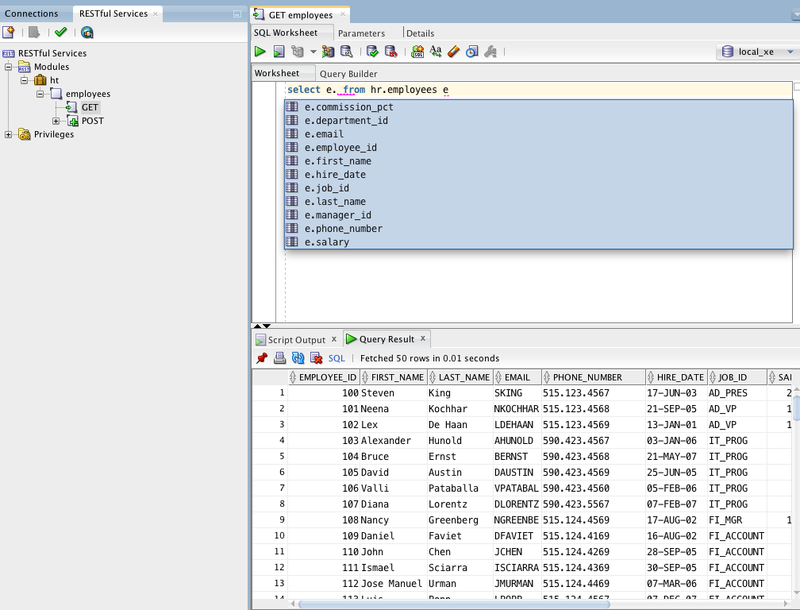 SQL Developer is bringing the ability to define all the APEX Listener's REST abilities. There's many advantages to adding this in. The first and probably most important to me who typos and doesn't see it, is the ability to test the query or plsql before publishing it and getting a 500 error and not knowing why. This screenshot shows many other advantages of adding in. 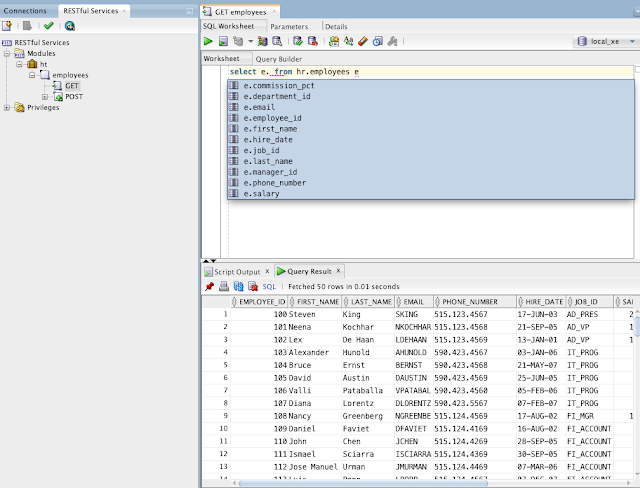 The REST definition screens will have a fully functioning SQL Worksheet to test and tune the source of the REST call. That means code insight, explain ,autotrace, sql tuning advisor, grids of data, and anything else. The differences over a normal worksheet are obviously the name of the tab is the handler method and the name of the REST end point. Then there's the additional tabs for defining in and out parameters. Then the other thing I frequently don't get correct is testing the URL out. I forget if I added a slash or what the module was or typo or something to get the URL wrong. The new details tab shows what the URL is going to be.